Guitar Gopher is a guitarist and bassist with over 30 years of experience as a musician. 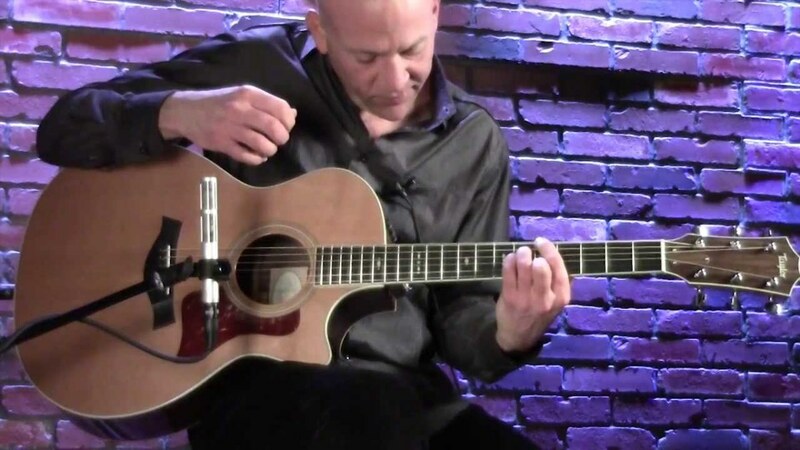 The Martin DRS2 is one of the best acoustic-electric guitars you'll find for under $1000. If you’ve spent some time looking at the top acoustic-electric guitars for around $1000 you’ve probably realized by now you have a whole lot to consider. When it comes to acoustic guitars you need to worry about tonewoods, materials and craftsmanship. Add the electric component and you also have to start thinking about preamps and pickups. 1. You already know a few things about what makes a guitar sound good. Maybe you’ve played acoustic guitar for a while, and maybe you’ve already owned an acoustic-electric or two. 2. You have me to help you out! I’ve sorted through a bunch of the top acoustic-electric guitars and come up with a list of what I think are five of the best acoustic-electric guitars under $1000. I’ve been playing for almost 30 years, so I know a little bit about guitars. But just in case you don’t believe me, check around for yourself. Every one of these instruments is highly rated and top quality. If you're looking for something less expensive you can read about some of the top acoustic-electric guitars under $500 HERE. Otherwise, let’s get into it! 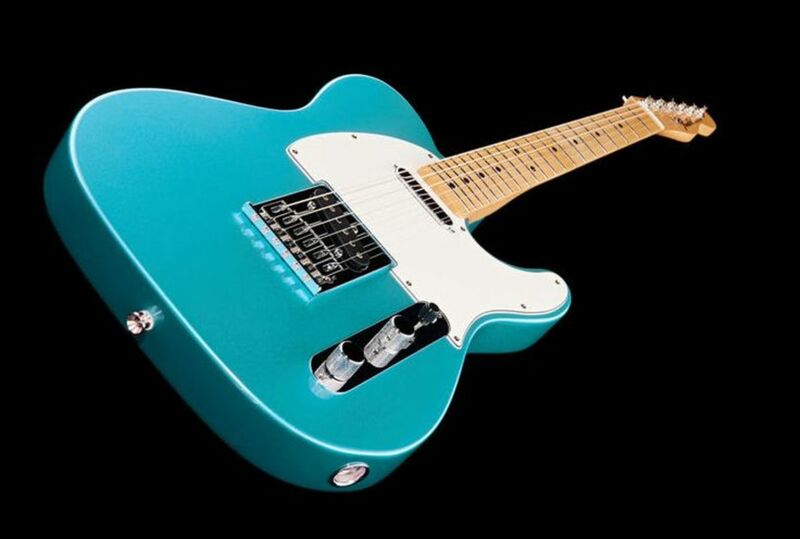 Here are 5 amazing guitars that will fit into your thousand-dollar budget. If you’ve been around acoustic guitars you know Taylor is one of the best names in the business. Everything they make is high quality, and when you own a Taylor you’ve got yourself a dependable, great-sounding guitar that will last for generations. 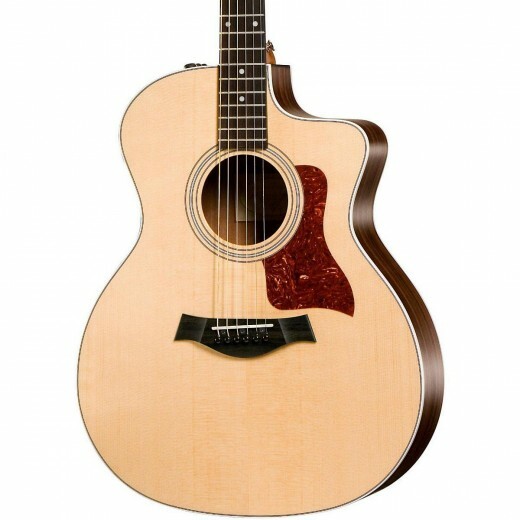 Taylors can also be very expensive, but they have you covered with the 200-level models. The 214ce features the classic Grand Auditorium body shape with a cutaway for easier access to the high registers. I’ve always loved this body style, and to me it looks really classy. The 214ce has a Sitka spruce top and rosewood laminate back and sides, which allow for both warmth and punch. The fingerboard is ebony, not rosewood, which will add a bit more bite to the tone. The electronics are Taylor’s Expression System, specifically the ES-T. This is a fully integrated system, built by Taylor specifically for their guitars. It’s a simple 3-knob preamp with controls for bass, treble and volume, designed to bring out the natural sound of the guitar rather than mask it with complex tone-shaping parameters. Like with all big-name guitar makers, the Taylor name increases the cost of the guitar a bit. Could you find something comparable for less with a different name on the headstock? Maybe, but then again it won’t be a Taylor! I’ve been reading and hearing a lot about Seagull Guitars lately, and I’m quickly becoming a fan. From their award-winning S6 to the super cool and earthly Natural Elements series, these guys just plain make good stuff. They’re based in Canada too, so it’s nice to support another company doing business here in North America. The Performer series are guitars built for the stage. The CW Flame Maple features gorgeous flame maple back and sides along with a select pressure-treated spruce top maple neck and rosewood fingerboard. With its cutaway dreadnought shape, this guitar is all about crisp clarity and projection. Seagull guitars have tapered headstocks, which allow the strings a truer line through the nut and helps to improve tuning and tone. The Performer features the Godin EPM Quantum I preamp system, which includes controls for volume, bass and treble, as well as a built-in chromatic tuner with a LED that’s easy to see onstage. Next to the great sounds and looks, the most noticeable thing about Seagull guitars is the incredibly reasonable prices. With Seagull, you get a quality guitar made from superior woods and materials for a lot less than it seems like it ought to cost. The Performer CW Flame Maple is definitely one of the best acoustic-electric guitars under $1000 out there. Breedlove is a guitar brand that ought to get more recognition than it does. This is another American company, founded by some ex-Taylor employees and based in Bend, Oregon. They have some truly beautiful guitars in their lineup, along with some very innovative ideas. The Studio Dreadnought features a Nato Mahogany neck with East Indian Rosewood back and sides, and an East Indian Rosewood fingerboard. Breedlove pops a solid Sitka Spruce top on there for crisp highs to go with all that warm rosewood and mahogany. It’s a dreadnought shape with a cutaway, so plugged in or not this guitar will have some volume. The fretboard features some very pretty inlays patterns to accent the classy look of the instrument. As for the electronics, the Studio incorporates Breedlove’s LR-TCV preamp which comes complete with a 3-band EQ plus presence, a chromatic tuner and a handy phase button that will help minimize feedback. If you are fairly new to guitar you may not immediately think of Breedlove when you’re trying to decide on a new acoustic-electric. But you should. These are great-looking guitars made to high quality standards. The Studio Dreadnought is definitely worth checking out. It will keep you under budget while looking and sounding great onstage. Along with Taylor, C.F. Martin and Co. sets the mark for top-level American-made acoustic guitars. They’ve been around since 1833, and today they make most of their guitars in Nazareth, Pennsylvania. They use premium materials to get the best look and sound out of their guitars, but they’re also a leader in understanding the environmental impact of over-harvesting tonewoods. Also like Taylor, high-end Martin guitars can cost thousands of dollars and are out of the reach of many players. But the DRS2 Acoustic-Electric is an affordable guitar that will keep you under budget, and allow you to own a real Martin. It features a dreadnought body style for strong projection, and is constructed using a solid Sitka Spruce top, solid Sapele back and sides and a Stratabond neck. Stratabond is a strong laminate Martin has been using on some of their guitars in order to preserve some of those aforementioned tonewoods, and keep costs down. Richlite is another eco-friendly material, and here Martin uses it for the fingerboard and bridge. The electronics system is a Fishman Sonitone. Fishman is a respected name in acoustic guitar amplification, and a great compliment to an already outstanding guitar. This system is a little different than the other preamps in this review, as the volume and tone controls are mounted inside the soundhole of the guitar. I’ve owned some great Martins in my day, and I’ll always have a warm spot in my heart for these guitars. With the DRS2 you get a real Martin for a great price, and you can feel a little better about it from an environmental standpoint! Where you’re talking about great acoustic-electric guitars Yamahaalways has to be in the discussion. As a company Yamaha makes a lot of different instruments, but they do few things better than the acoustic guitar. They make some outstanding entry-level instruments, some high-end gems, and awesome instruments in between. The A3R is an example of one of those awesome in betweeninstruments. 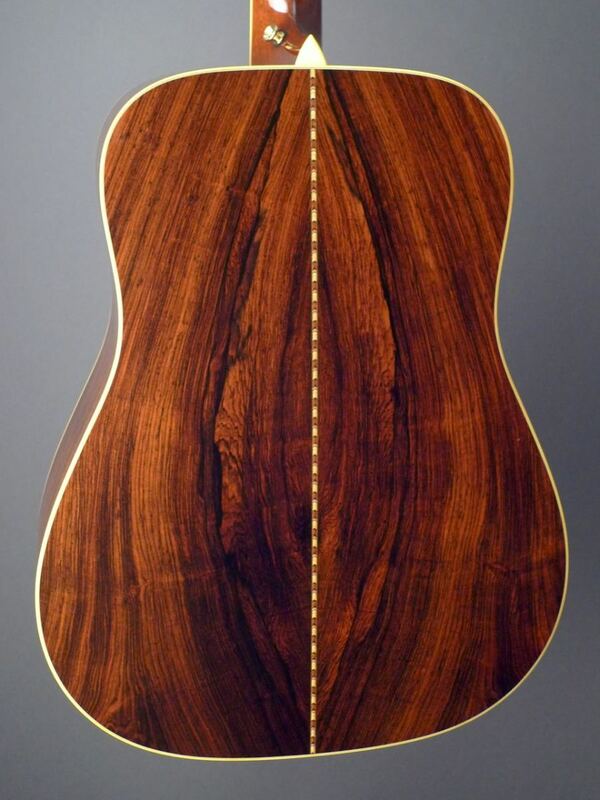 It’s a concert-sized body shape with a cutaway, made from all solid woods. The back and sides are rosewood, hence the R in the name. There is also a mahogany version, which would be the A3M. The top is solid Sitka Spruce, the neck is mahogany and the fingerboard and bridge are both ebony. That’s a nice combination of tonewoods that will allow warmth and resonance while still having some high-end bite. The electronics are Yamaha’s SRT System63 Modeling Preamp, a pretty advanced piece of gear with a 3-band EQ, a switch for different microphone model emulations, a switch for mic distance, an anti-feedback mechanism, blend control, tuner and even a resonance control. Yamaha makes outstanding acoustic guitars, and the A3R is on-par with their reputation. It’s a solid-wood guitar that sounds great, and the touch of technology incorporated into the electronics is just icing on the cake. Which to choose? You can’t go wrong with any of them, if that makes you feel any better! But you’re going to have to pick one, at least for now. If you’re into simplicity the Martin or the Taylor may be your bag. These guitars really let the construction and woods of the instruments speak for themselves, with the preamp and electronics intended to blend seamlessly with the overall sound. The opposite end of the spectrum would be the Yamaha. This guitar gives you a tremendous amount of control over your sound, right down to emulating how far the imaginary microphone would be placed from the sound hole. The Seagull and the Breedlove are both guitars that might appeal to players who like to take the road less traveled. These are the instruments that get you that approving nod of the head when some hobby guitarist asks what kind of guitar you’re playing. Then you get to brag a little about how you plucked a gem out of a lineup of big-name guitars! Good luck in your quest to find the best acoustic electric guitar under $1000, and I hope you found this article helpful. 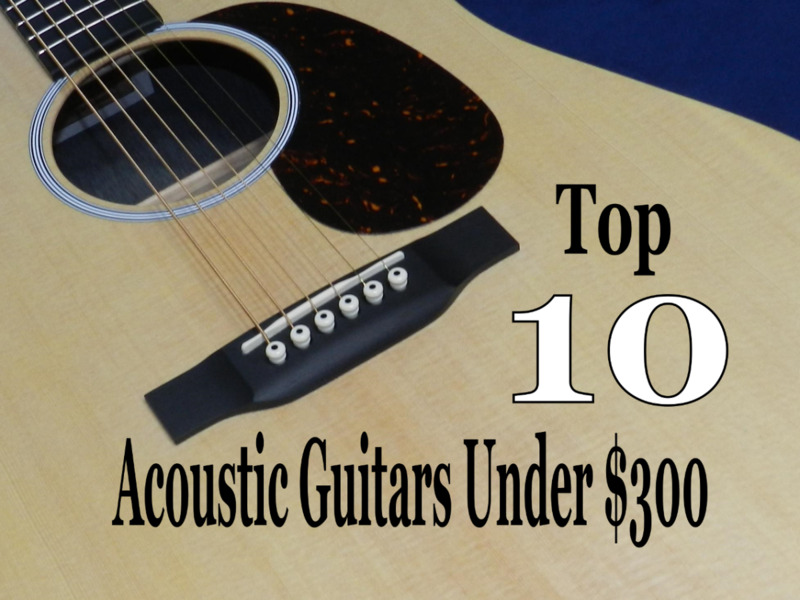 Vote for the Top Acoustic-Electric Guitar Under $1000! Played one? Heard one? Seen one? Smelled one? Cast your vote for the best of the bunch! I just wanted to concur with the earlier post about the Epiphone masterbilt! This guitar is all wood and all guitar! This is an awesome bang for the buck. The spud of the 500mce model is incredible. It definitely needs to be on the list. Thanks for your opinion Sheils. While your advice is appreciated, certainly no two guitarists would come up with the same guitars for any given list, or present an article like this in the same way. However, you did mention a few points hopefully readers might find useful. Constructive feedback, and the expression of different opinions, is always welcome. If you wanted to quantify what is meant by "best," which you really should, then we actually would need to consider the specifications of guitars in the given price range. Although there may be differences of personal preference when it comes to areas such as individual tone woods used, fretboard scale, and nut width, we could still make very good general assumptions about whether laminates are better than a solid wood model, whether synthetic fretboard material was favorable to natural wood, whether one pickup is better than two, and/or whether including a built-in tuner is preferable. In other words, Forget about the names of the manufacturers and do a real comparison of specifications of guitars in the given price range. For example, the Martins in this price range include some or all laminate woods, and they have a synthetic fretboard material. Taylors in this area have laminate bodies and include no built-in tuner. Meanwhile, Seagulls in your given range also have laminate bodies, and are sometimes even in a shorter scale. Continuing the example of making comparisons of specifications, there are Guilds in this price range that come with all solid woods, a rosewood fretboard, and with built-in tuners. 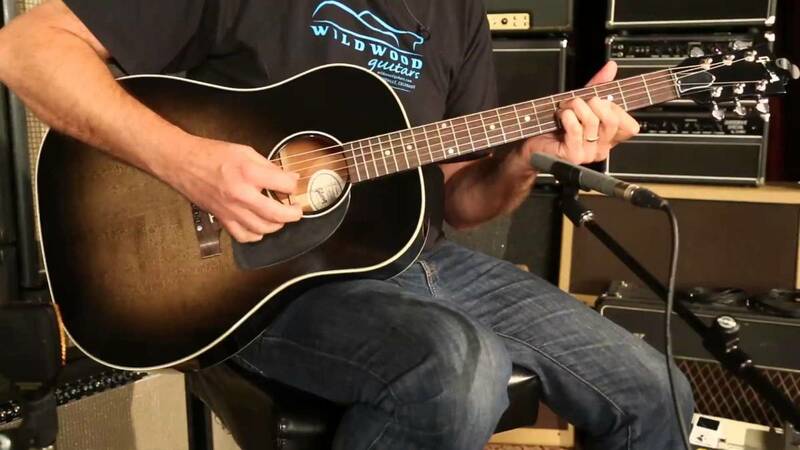 Also, Epiphone Masterbuilt has solid wood acoustics, even some with cedar tops which are highly sought after by finger style players, plus they have a rosewood fretboard, a built-in tuner, two pickups and deluxe tuning machines. Moreover, both of the above guitars sell for less than the Taylor 200 series model you listed. So which is better? By the same measures, there are Takamines and possibly even a Washburn that compare favorably to the Yamaha you listed. I think your list is more of a list of runners up rather than bests. I guess I should have thought to mention that the showroom demo guitar being scratched even slightly should allow the buyer to get the thing for less than the mint one in the box in the back of the store somewhere. First new guitar I ever bought was a D-28...and it didn't occur to me that when I told the staff, "hey, I want to buy this." that they'd be going to the back to get a different D-28 than the one I'd been playing. So I was all, "oh no...I want this one." So I did leave with it, and without even asking they sold it to me at less than the price on the thing because it was the demo and had a tiny belt buckle type scuff or two on the back. I think I actually wound up saving a few hundred dollars. I don't know if they figured a percentage of the total should be knocked off, or what. Good advice re: the floor model /scratch and dent. If the blemishes are acceptable, there could be some great deals to be found. Myself, were my budget less than a thousand then I'm dropping a big name like Martin of my list entirely, and probably I'm dropping Taylor too. Seagull makes some solid wood instruments for around $700...no idea how much the electronics tack onto the price, but I'm betting a Seagull SWS guitar with electronics could be had at $900 or so with ...just the slightest of scratches or blemishes. You know...buying the demo guitar off the showroom floor is always the way I'd go. There's going to be a scratch or two, and the people won't even want to sell you that one, but if you say, "NO, I've played this one, this is the one I want," then they will sell it to you.